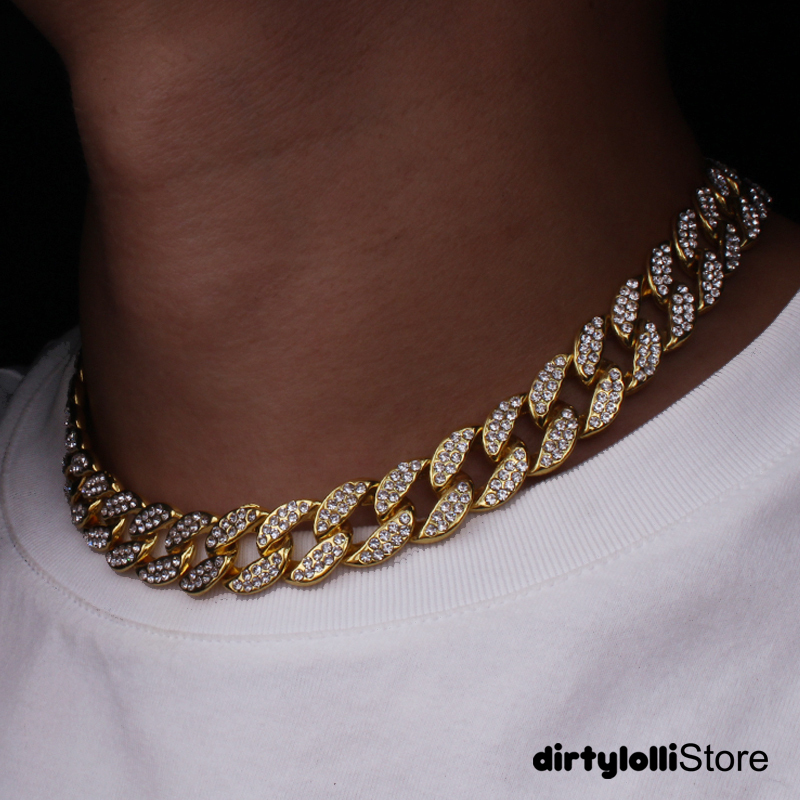 Welcoming our 16 Inch Cuban Gold Links Chocker with Rhinestones. 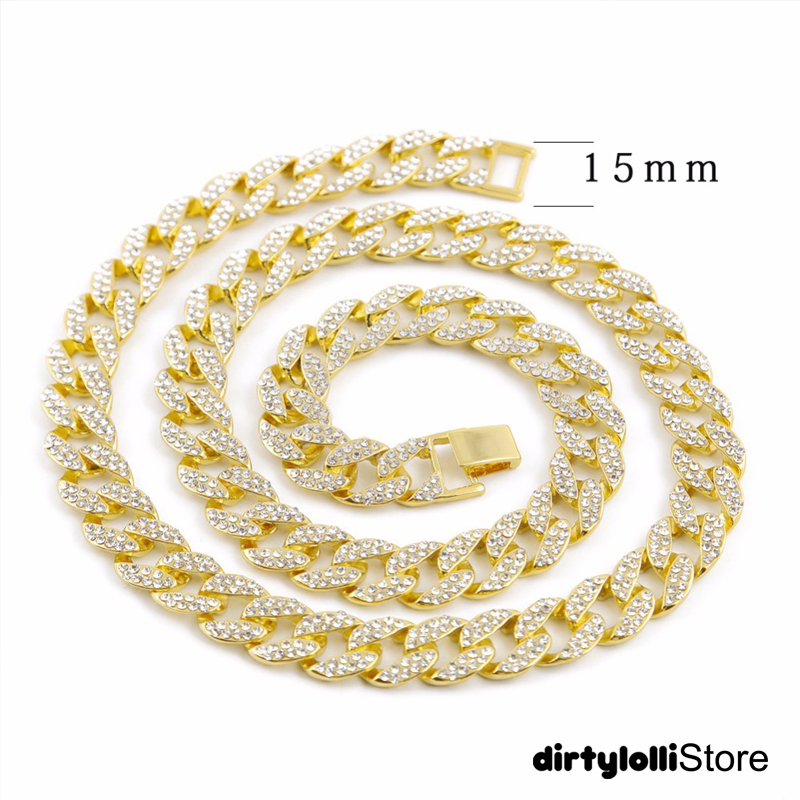 Our jewelry is plated 5 times. It should not fade if you take care of it. Do not expose the jewelry to water or perfume.